Given the trouble Arsenal have had in recent seasons, in holding onto their best players, Amy Lawrence from the Guardian, argues that Wenger, no longer possesses the skill he used to have in the transfer market. From picking out gems like Patrick Viera, Thierry Henry and Cesc Fabregas, he has now resorted to paying inflated fees for flops like Gervinho, Arshavin and Marouane Chamakh. Its also quite baffling how, Arsenal have been unable to tie down some of their best players like Samir Nasri, Robin Van Persie and more recently Theo Walcott to long-term deals. Who do you think is to blame? The manager or the board? Wenger is only too aware that people are, to put it gently, puzzled quite frequently. Scrutiny of his ways, his choices, his running of the club over which he exerts enormous control, is churned over and over without any consistent conclusions. It is hard to find consensus on this period of Wenger’s reign because his team are so erratic. The case for and against, the evidence on the pitch, shifts from game to game. Watching Arsenal these days is like playing an elaborate footballing game of Snakes and Ladders. Turn up at the match and roll the dice. You may whoosh up the kind of ladder that sees them knock seven past Newcastle or slip down the kind of snake that frustrates, such as an uninspired draw at Southampton. For Wenger this erraticism is a particular problem at this time of year, with the opened transfer window bringing in anything from a gentle breeze to a howling gale, depending on results. He admits that even he fluctuates after games when he tries to assess where his team are going and what is needed. Some days he feels impelled to scour the market to improve his squad. Others he is more relaxed about the group at his disposal. You would think that he, of all people, should not be dithering. It is hard to avoid the feeling that Wenger’s approach to this window is similar to that of the infamous summer of 2011, when Arsenal were indecisive, inhibited by the prospect of what might happen with Cesc Fábregas and Samir Nasri (Theo Walcott this time) and ended up responding to a crisis by last-minute grabbing what they could from the sales. Last week Wenger’s official line switched from the determined – “I will be active … we are looking everywhere” – to the coy – “If we need something we will look” – a couple of days later. So is there a grand plan? Is there a clear vision of which departments need strengthening and which are strong enough? It appears not. One of the things Wenger is proud of is what he calls the “more socialist model” of the wage structure. There are not such vast differences between the higher and lower paid players that are found elsewhere. “It is defendable in front of every single player,” he says. But it has its downside. Clearly they struggle to keep their best players from being tempted by greater riches at other clubs, while the strugglers are over-generously rewarded. Transfers were once Wenger’s specialist subject. But over time his Midas touch has become unreliable. And this is the key to the whole Wenger debate. Will he come back from the shops to start a party with some champagne or some stale cake, corked wine and disco lights that do not work? While nobody expects every transfer to be a success story, there are too many blunders taking up squad places and eating up a valuable portion of the salary account. Arsenal finally offloaded Marouane Chamakh to West Ham and have also been seeking new homes for Sébastien Squillaci and Andrey Arshavin – all experienced internationals whose stock has shrivelled – for ages. The mystery of why Arsenal signed Park Chu-young remains unsolved. How anyone valued Gervinho at £11m is also mystifying. A touch of alchemy used to be his calling card. In the first phase of his Arsenal career, the largely successful Highbury years, there were countless transfers that turned out to be of exceptional value. Wenger cast his net in a variety of ways. 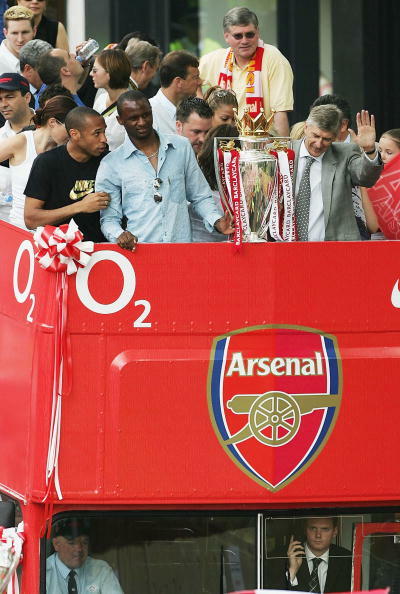 The French connection was the richest source, with Thierry Henry, Patrick Vieira, Robert Pirès, Emmanuel Petit and Nicolas Anelka flourishing. Wenger also gambled on players who had been troubled with serious injuries, in Marc Overmars and Nwankwo Kanu. He reworked his defence with very reasonably priced options from close to home (Sol Campbell from Tottenham) and farther afield (Lauren from Spain and Kolo Touré from Ivory Coast). Freddie Ljungberg epitomised how he liked to take promising raw material and mould it into something fantastically effective. Of course no transfer ever comes with a guarantee and even when he was pulling rabbits out of hats there was the odd mistake. The experiment with young English players saw Richard Wright, Francis Jeffers and Matthew Upson strain to make an impact. Junichi Inamoto was the precursor to the interest in the Japanese market that Wenger feels is now bearing fruit but then was not quite ready. José Antonio Reyes was exciting and expensive but his spark soon fizzled out in north London. The likes of Igors Stepanovs and Pascal Cygan merge in the memory into a mass of slow, lumbering defensive nightmares. 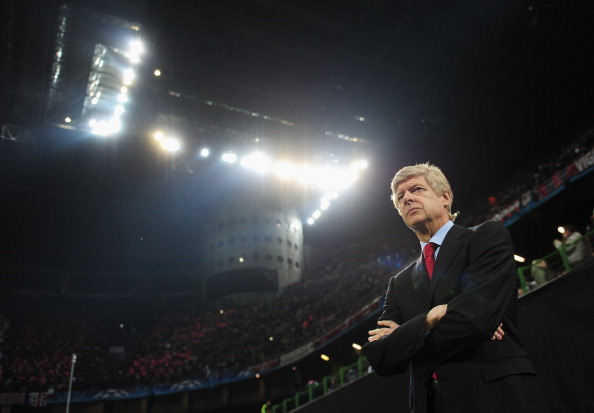 How do you feel about Arsene Wenger’s transfer policy over the last few seasons? Share your feedback with us on twitter and Facebook.